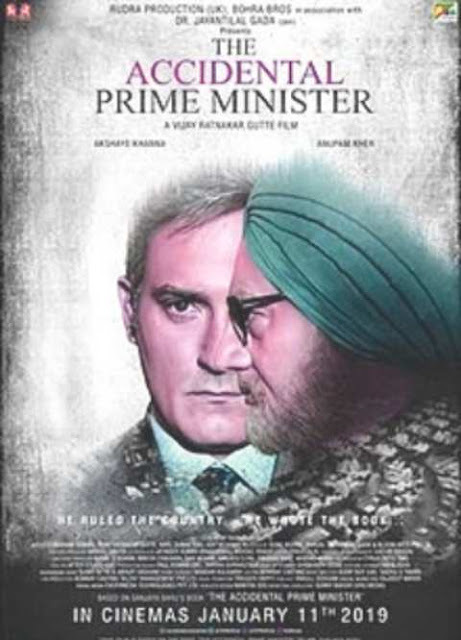 The Accidental Prime Minister is a 2019 Indian biographical film directed by Vijay Ratnakar Gutte and written by Mayank Tewari, based on the 2014 memoir of the same name by Sanjaya Baru. It was produced by the Bohra Bros under Rudra Production (UK), in association with Jayantilal Gada under the banner of Pen India Limited. It stars Anupam Kher as Manmohan Singh, the economist and politician who served as the Prime Minister of India from 2004 to 2014 under the United Progressive Alliance.